Income statements are the financial records of a company or an individual and they provide details about all their sources of revenue and their various expenditures. 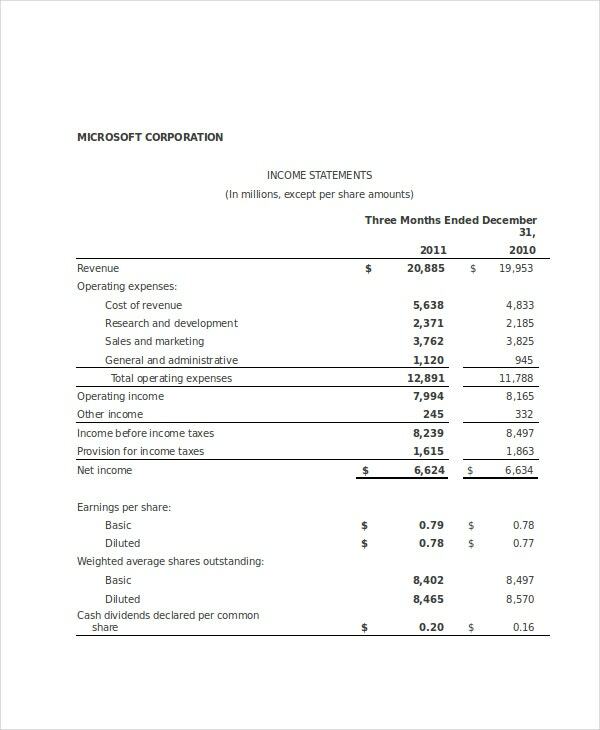 Keeping an income statement is critical as it has multiple uses in the future. 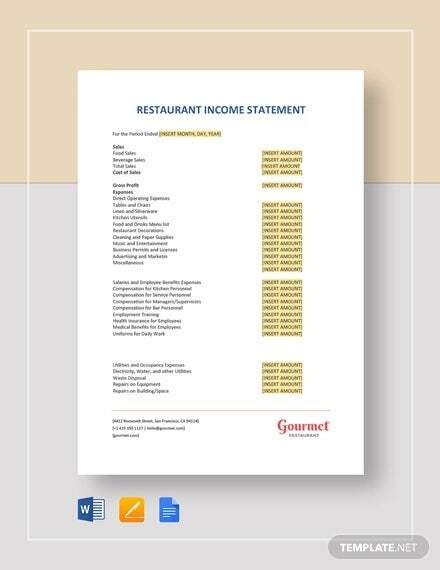 An income statement samples can be easily made by using income statement templates. Below are some very useful sample income statements that can help you in saving a lot of time and in efficient drafting an income statement for your business. 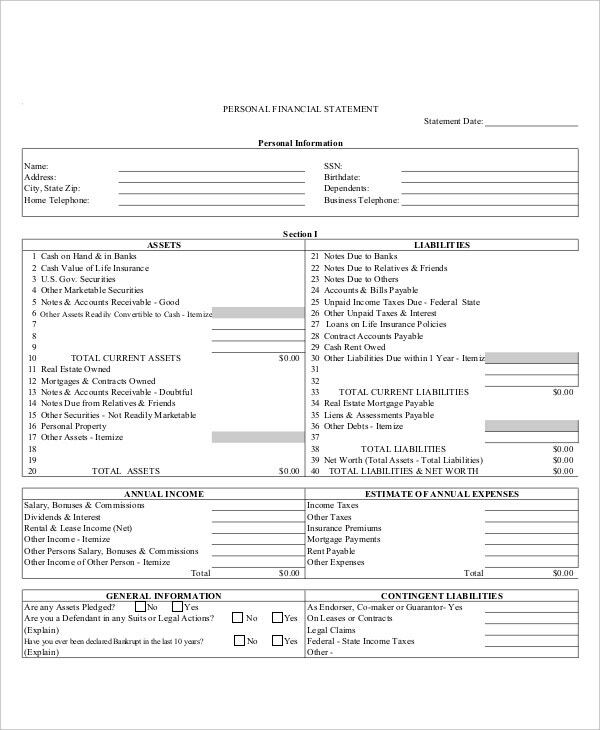 This sample income statement is a pro forma template that can be extremely useful for strategic planning and budgeting purposes of your organization. It provides guidelines that are essential for creating an income statement. 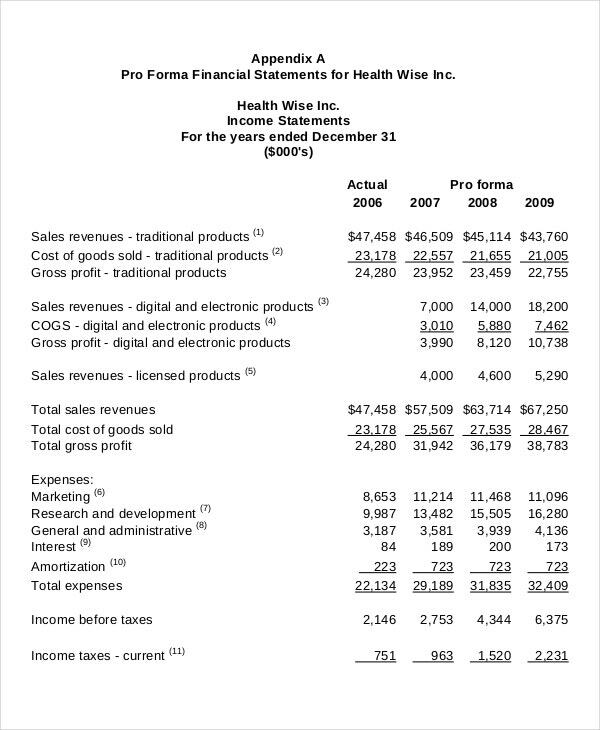 This is a sample income statement that is designed for personal use. You can use it to manage your finances by making a note of your various assets, liabilities, and sources of income. 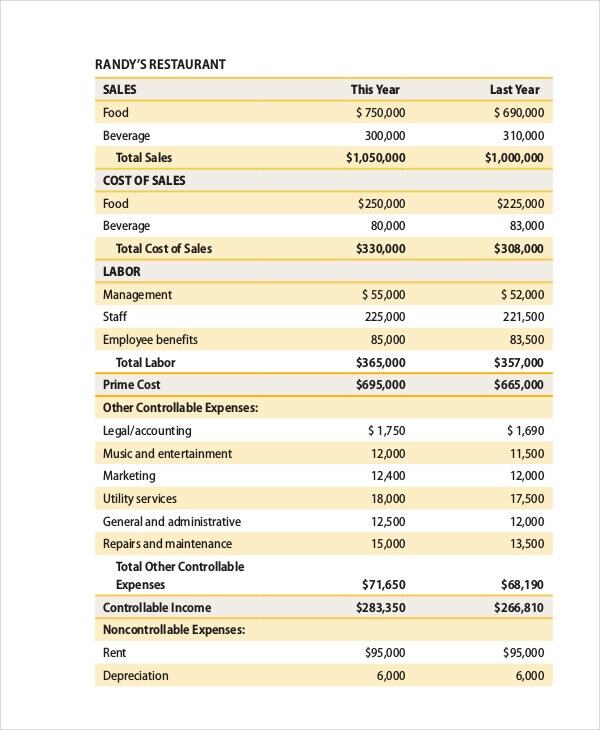 This sample income statement is best suited for those involved in agricultural business. It can help them in calculating their estimated income for the coming five years by taking into account the various factors. 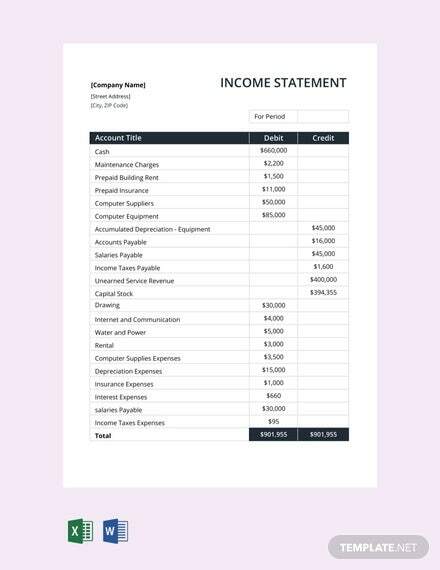 This is a very useful sample income statement that can be used by a variety of businesses to calculate their net income by making various deductions from their total revenue. 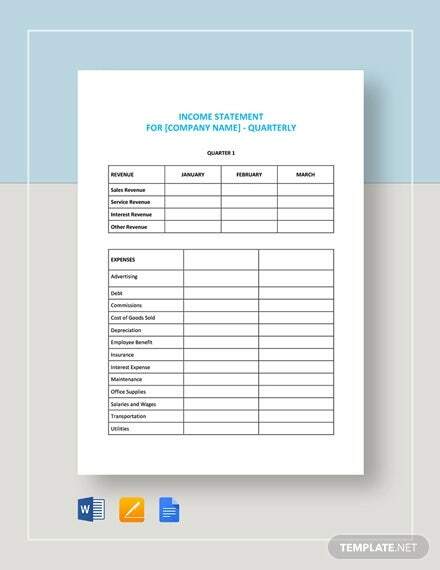 This sample income statement template has multiple features and will be of great help to your company in calculating cash flow and also in designing an income statement and balance sheet. 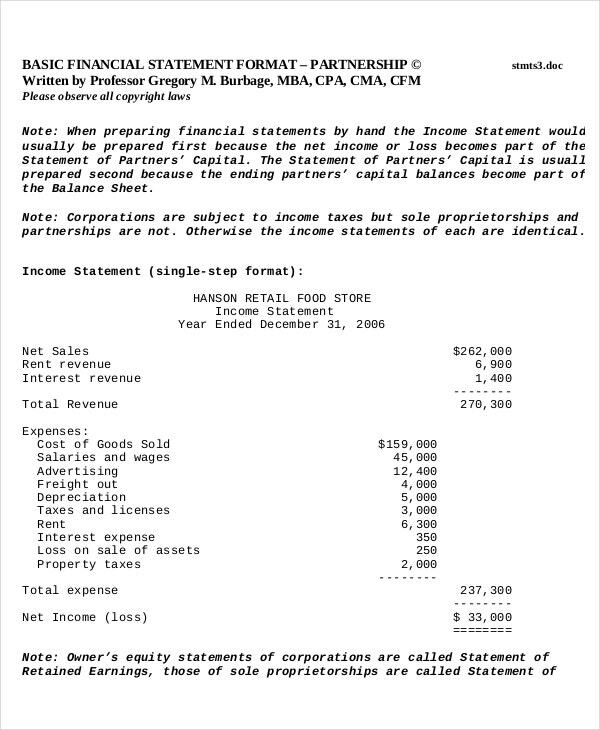 > Who can Use the Sample Income Statements? The Sample income statements can be used by various kinds of people and organizations depending on the type of income statement they need. 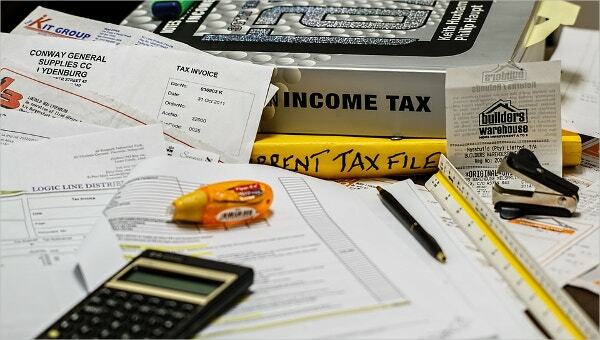 Personal income statements can be used by individuals or family members together to calculate their finances by calculating the total income which is the sum of all the sources of income and calculating all the sources of expenditure to get the remaining balance. Income statements designed for companies can be used to derive the net income by adding all the assets and revenues and subtracting the liabilities from them. The projected income statement is useful for calculating the total income of a farm, which can be used by those in agricultural business. 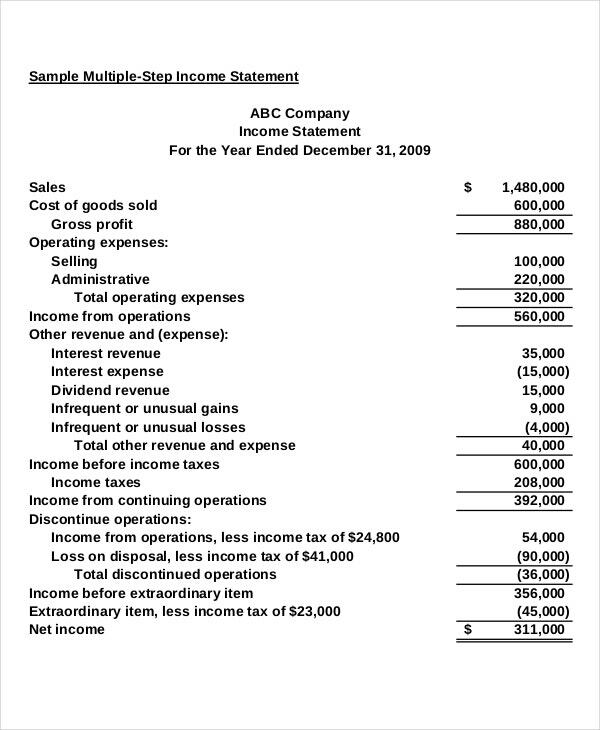 > How to Use the Sample Income Statements? Sample income statements provide you with a format which can be used to generate your income statement. 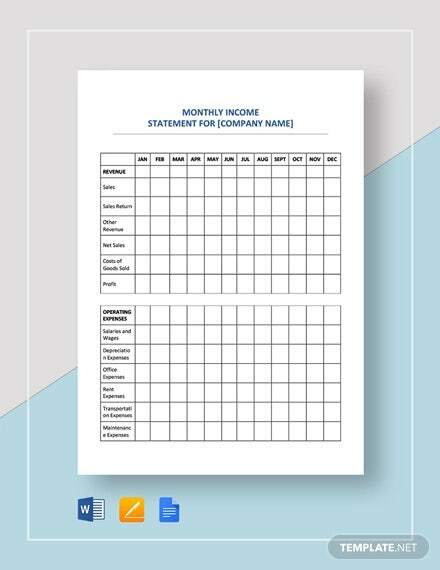 Some templates also give step by step instructions which can be used to create your income statement. Income statements consist of two parts, sources of income and liabilities. Sources of income include salary, sales, interests from banks, assets, etc. Liabilities include debts, taxes, loan payments, etc. The sum of the sources of income gives you your total income. By deducting the money spent on many liabilities from the total income, you get your net income, which is the balance amount you are left with. 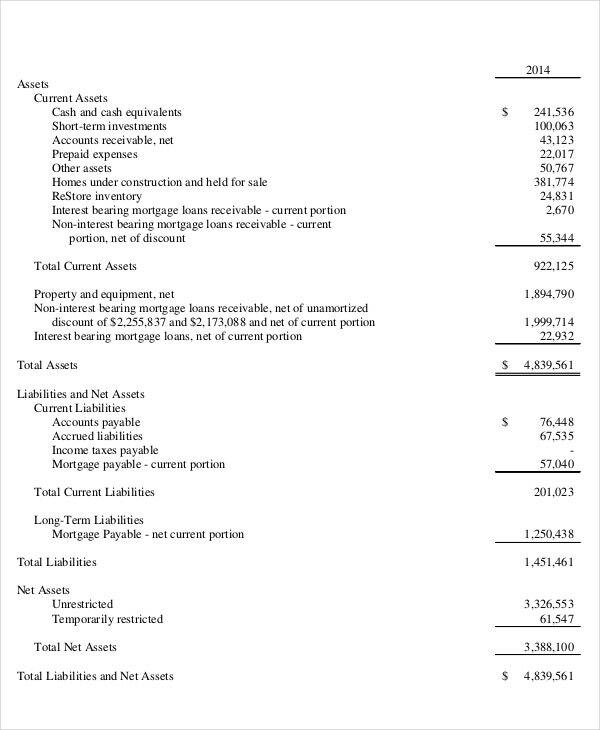 > What are the Benefits of Using the Sample Income Statements? There are various advantages of using a sample income statement. 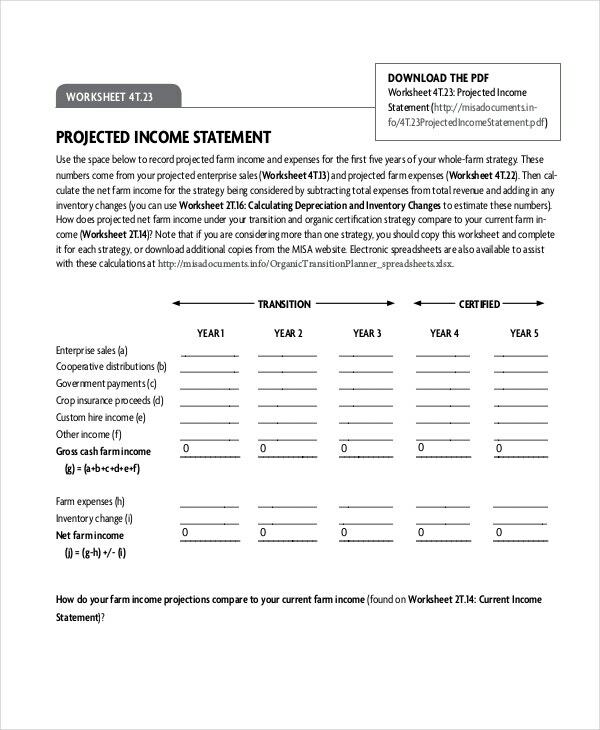 These sample income statements can help you in saving an enormous amount of time. If you have to create an income statement on your own, you have to create a list of the various factors involved in your finances. These templates provide you with a ready-made list of all these common factors which in turn helps you in saving time. 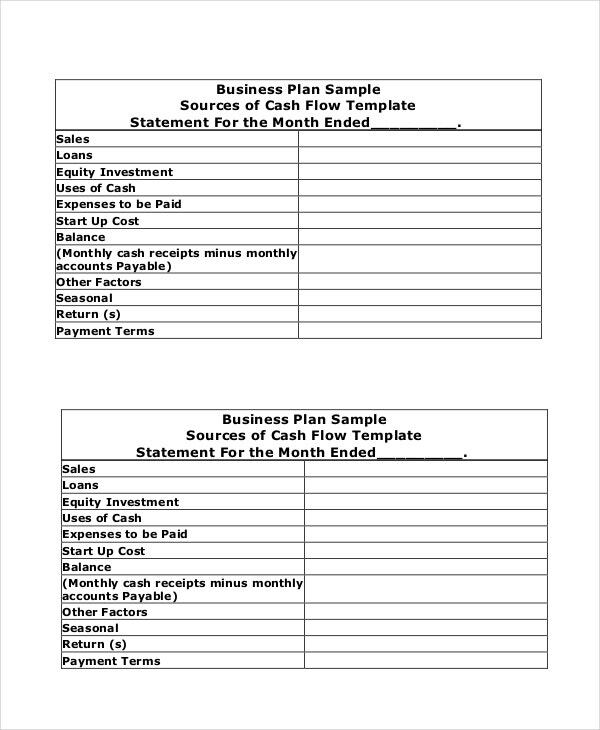 By making use of these templates, you can also create a budget for various activities easily as you have a record of your net income. 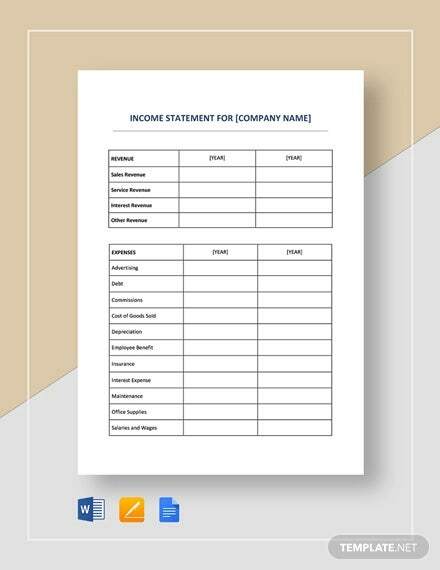 These word income statement templates also make sure you do not forget to consider any relevant factors while making your income statement. Financial statement templates and bank statement templates are also useful tools which can be of great help in managing your finances. Sample income statements are very handy and will be of great help in accounting matters. 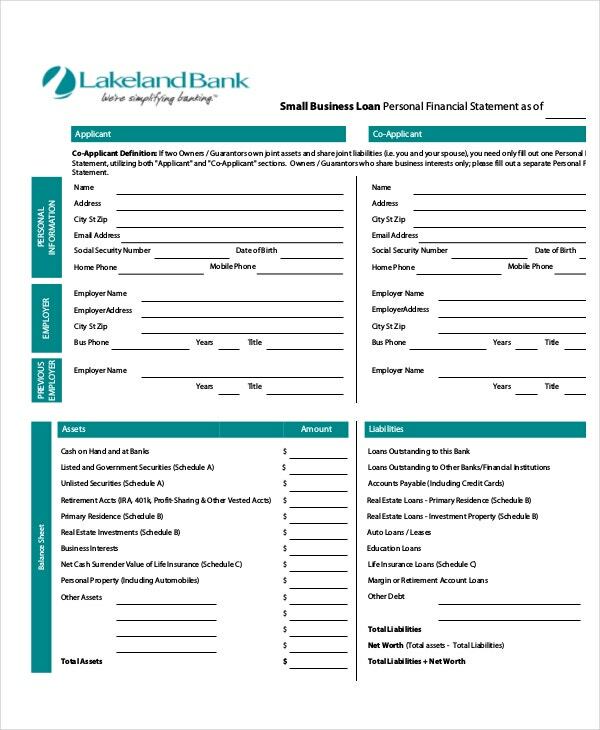 Check out all the templates and make sure you choose the one which is best suited for managing your finances.